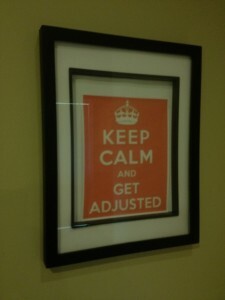 I would like to welcome you to the Trinity Chiropractic website. As Clinic Director I am honoured that you are visiting our virtual office. 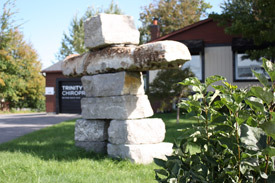 We have been delivering quality chiropractic care to the Stittsville and Kanata community since 1996. The practice is located in a renovated house with direct parking in front of the office, we keep office hours set for morning, mid-day and early evening people. Whatever your concern may be, we are always accessible to you. We understand that a Doctor/Patient relationship is just that – a ‘relationship’. Our role is to honour your goals, and provide you with direction and options. We are not a large high volume office, trying to offer everything to everybody, but a personable office with an excellent reputation. Providing excellent service and care is our first priority, however there may be times when we may have to refer you to another health professional if we feel that your needs are better met there. Our approach is simple. We believe that health is among our most valuable possessions. When pain or other symptoms arise, we seek to find out as much as we can in order to serve you best. Understanding all of the factors that may have lead to your concerns allows us to provide you with the appropriate treatment options. Providing relief in as short a time period as possible is often where most patients begin care. Whether it is for acute pain relief or to improve the overall functioning of your body we may be of great help. On a corrective or preventative basis, our goal is to retrain movement patterns, further reduce abnormal nerve activity, re-establish proper joint positioning, and/or reduce adhesions. We often give specific ‘homework’ stretches and exercises to work with your improvements in flexibility, balance, strength and ergonomics. Regardless of your health goals, please understand that we see ourselves as mere servants. You’re the boss! It’s your body, your health and your future. Our job is to offer you the finest chiropractic care possible, and it’s up to you to decide how much you want. Sound interesting? Please contact us to make an appointment today.